Vacuuming your carpet on a regular basis makes a big difference in how nice and clean your home looks and feels. Areas that get a lot of traffic from people and pets will need more vacuuming. Every day or twice a week. Another way to figure it out is to think about how many people use those areas every day or almost every day. If one person uses a bedroom then vacuum that room once a week. 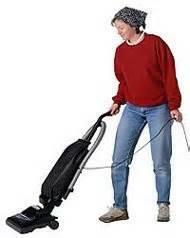 If 3 people use a certain room in the house often during the week then vacuum 3 times that week, etc. Call us to come help keep your home vacuumed. We'll get you right into the schedule as close as possible to the date you like. Our phone number is 602-404-8675.